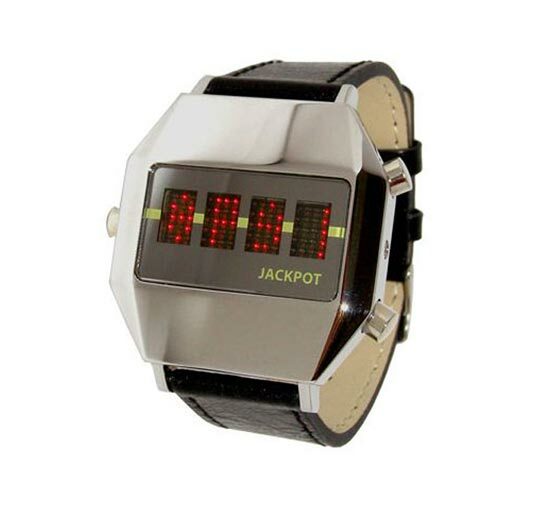 Here is another fun geeky watch all the way from Japan, the Seahope Jackpot LED Watch. 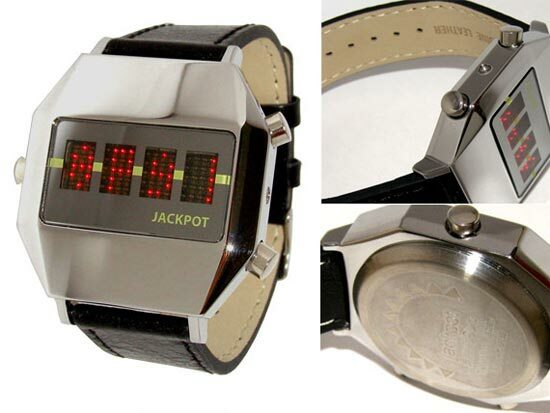 As well as being a funky looking LED watch, the Seahope Jackpot LED Watch has a built in slot machine game, unfortunately you wont win any actual cash with it but it looks fun. The Seahope Jackpot LED Watch measures 40 x 40 x 12mm, is waterproof to 3ATM, has a stainless steel case and a leather watch band. If you want one of these fun Seahope Jackpot LED Watches they are available for $172 from Japan Trend Shop.